Graphene is an open-source blockchain technology, mostly written in C ++ and available in GitHub in several versions, since it has been forked and updated many times. Graphene-based systems have a better performance process than first-generation systems derived from Bitcoin or even second-generation systems “Bitcoin 2.0”. Graphene blocks are of a very small size compared to other block propagation techniques such as Compact Blocks and Xtreme Thinblocks, being able to encode information in about 10% of the space of Compact Blocks fitting within a single IP packet and not requiring more time or CPUs to store transactions. Graphene has publicly demonstrated that it can sustain thousands of transactions per second in a distributed test network. This is a big jump if we compare it with the 6 TPS of Bitcoin or the 65 TPS of Litecoin. 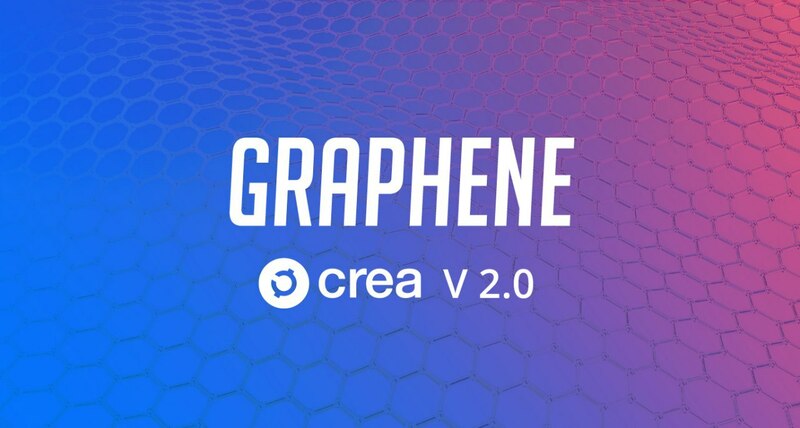 The Crea network will be based on Graphene. This will put CREA at a TPS level equivalent to that of networks such as VISA or Master Card and giving its blockchain the necessary agility that it requires to sustain an ecosystem as active as a social network. In addition, it allows numerous advantages for the development of CREA, since it will offer a wide range of possibilities when implementing new features to its social network such as the incorporation of a decentralized trading of assets as well as customized on-chain smart contracts. Undoubtedly, the CREA 2.0 blockchain will be ready to evolve and enrich its universe with a lot of new features and benefits for users who participate in the network.